A wonderful opportunity to explore an interesting selection of processes and techniques. 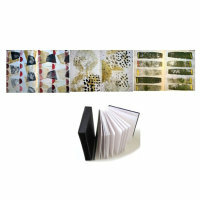 Fill a concertina sketchbook with mixed media artwork: themed, imaginative, abstract, patterns, prints – flowing across pages to produce a unique sketchbook. Trial and explore a range of media - combining several different materials; ink, pens, paint, matt medium, chalks and oil pastel as well as collage. You will enjoy the time to really get stuck into starting a glorious creative sketchbook with masses of ideas. Cost: £75 (sketchbook and all materials included).